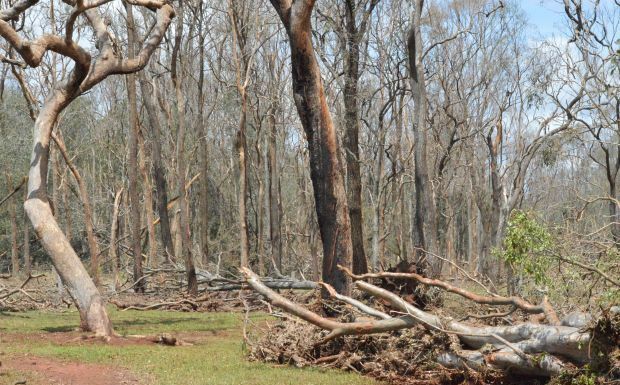 BlazeAid volunteers have hit the ground running, beginning work on storm-affected farms in the Coolabunia area on Wednesday. The handful of volunteers – more are on their way – split into teams to repair fencing at two farms badly hit by last week’s storms. 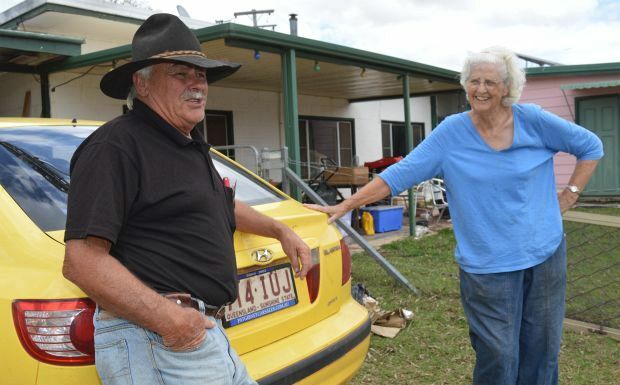 While they were out working, BlazeAid veterans John Lillico (the camp co-ordinator) and Lynne Walters, from Nanango, began visiting other properties which had requested help to assess the level of assistance required. southburnett.com.au tagged along on one of these visits. As we passed along some of the back roads in the Coolabunia and Hodgleigh areas, the extent of Thursday’s storms quickly became apparent. 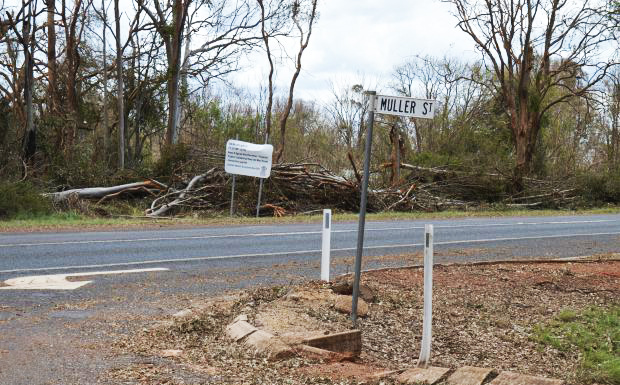 Large trees in paddocks were tossed into heaps like matchsticks, or snapped in half. 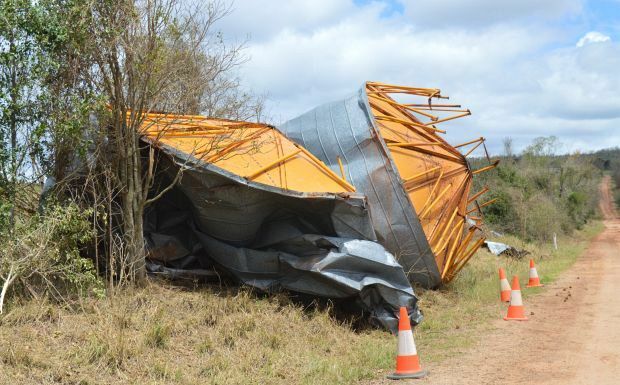 Paddocks were strewn with debris, including sheets of corrugated iron and bits and pieces of water tanks and silos. Many houses had plastic sheeting or wooden boards over their windows. One house appeared to have been shifted off its stumps. Farm sheds were partially collapsed, or had gaping holes in their walls. We passed one building where workers were busily re-affixing metal sheets to the roof, and others where there were still tarpaulins in place. Stormwater run-off had left deep ruts in gravel roads. 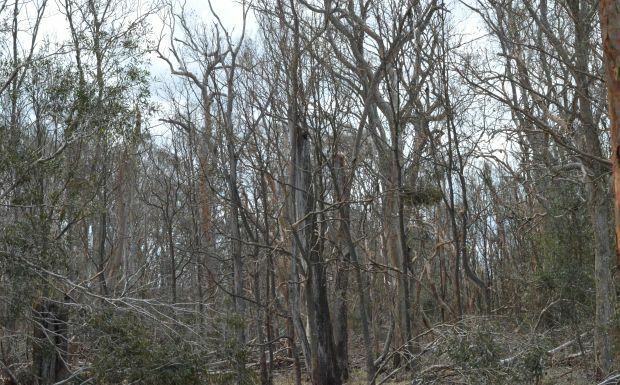 Rock and Ann Boothroyd’s 140-acre property at Hodgleigh was just one of many in the area which suffered damage. Eight windows in their home were smashed as well as all the plastic piping leading from their tanks. Fortunately, their roof stayed intact. However, large trees crashed across their driveway and there was also damage to their external fences. 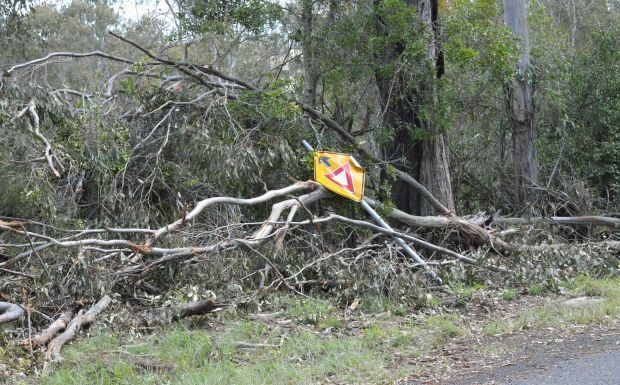 Ann said if it hadn’t been for parishioners from the Nanango Catholic parish, they would have been trapped on the property. “They spent the day here clearing the gateway so we could get out,” she said. 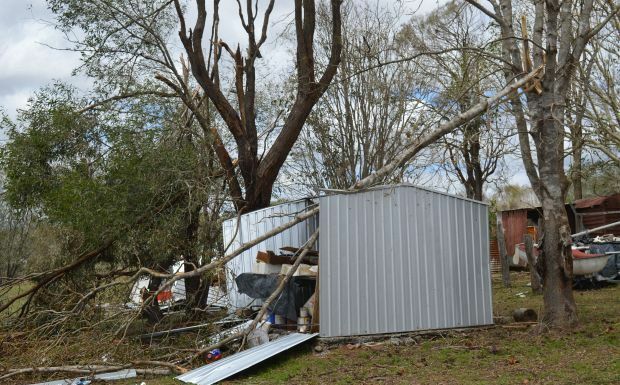 BlazeAid won’t be able to help with the windows, but their volunteers will be able to help remove debris from the property and work on the broken fences. 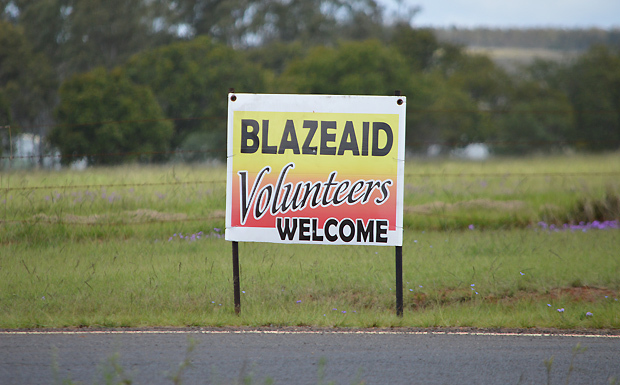 The BlazeSid sign pointing the way to the camp near Kingaroy Airport … volunteers are not only welcome, they’re wanted! 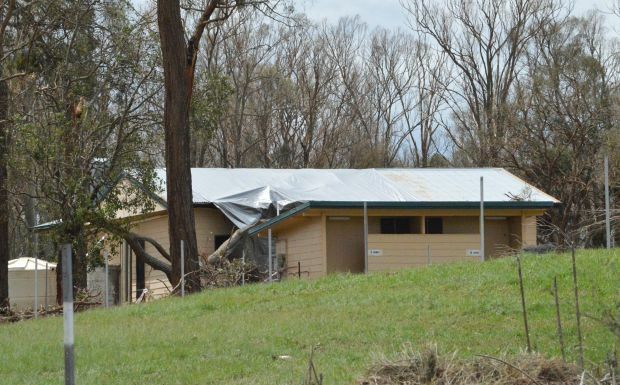 People who would like to volunteer to work on local properties, support the BlazeAid camp with donations, or register their property for assistance should contact John Lillico on 0484-145-732.